Prepare delicious Asian inspired cuisine with this Le Creuset wok. 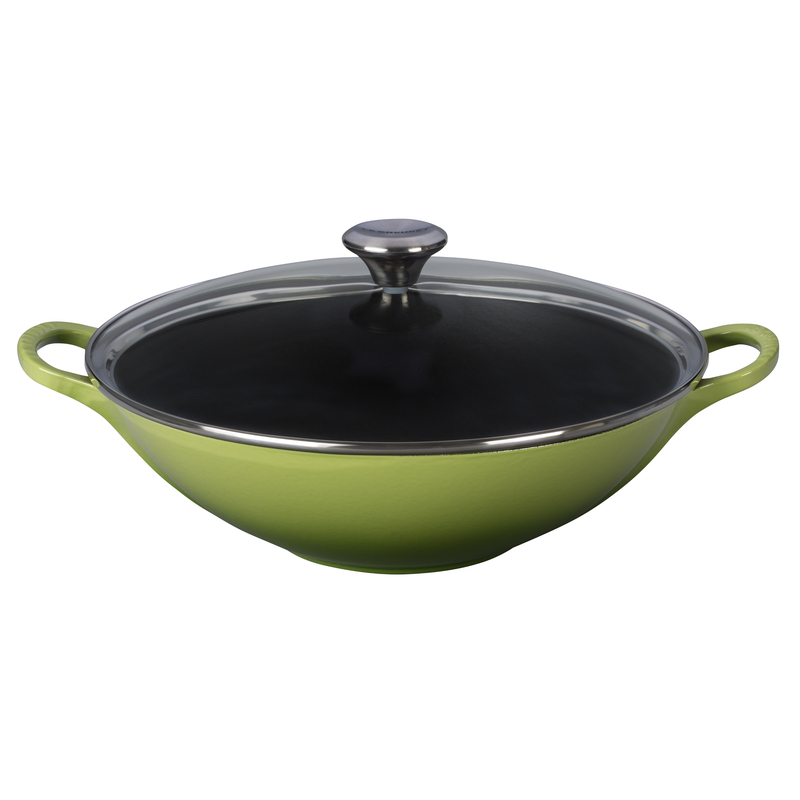 This classic Chinese design is perfectly weight-balanced with a flat base and sloping sides made of enameled cast iron. It features a smooth, gently curved interior cooking surface for stir-frying fresh ingredients. A tempered glass lid locks in moisture for steaming vegetables. Induction ready and safe for all cooktops, this wok is backed by a manufacturer's limited lifetime warranty and is dishwasher safe.